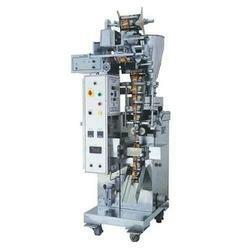 Leading Manufacturer of pneumatic automatic pouch packing machine and automatic pouch packing machines from Noida. For reasons of making the finest Pneumatic Automatic Pouch Packing Machine available in the market, we engage in the utilization of high grade raw materials and modern machines in compliance with the set industry norms and guidelines. Owing to this, the offered range is widely acclaimed for its impeccable performance and longer service life. Further, it is marked at the most reasonable rate possible. Grains Flour, Spices, Milk Powder, Coffee Powder, Besan, Haldi Powder, Sooji, Sattu, etc.